Apple has started rolling out the iOS 10.3 beta version for iPhone and iPad that makes it easier to find missing AirPods. 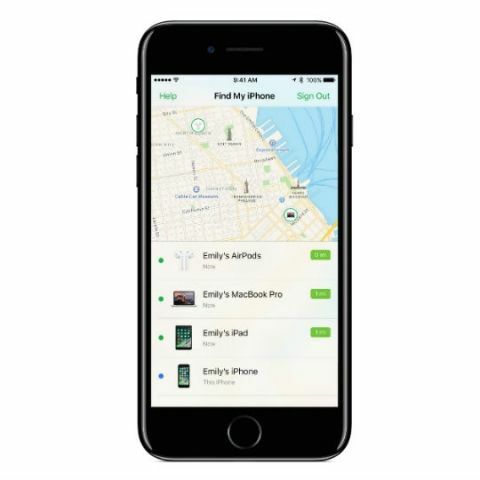 The latest beta version allows users to locate the company's latest wireless earbuds using the 'Find My iPhone' app. The process works similar to finding an iPhone with options to play sound on one or both AirPods. The app uses location of user's iPhone or iPad and Bluetooth to find AirPods, which can be seen as one of the initial downsides. If the AirPods are tucked inside the case or needs to be recharged or outside the range of any of your iOS devices, Find My iPhone app will only show the last recorded location. Apple AirPods are wireless earbuds that users have found falling out of ears quite easily. Since its introduction, a lot of users have asked for 'Find My AirPods' feature and the company seems to have delivered just that with the new beta rollout. The iOS 10.3 beta also offers other new features like the ability to ask Siri for cricket scores and stats from the Indian Premier League. At WWDC 2016, Apple made Siri available to third party developers for deeper integration with their apps. The beta update rolled out today shows the different possibilities. With iOS 10.3 beta, Siri can be used for payments and checking status of a bill with third party payment apps. Users can also schedule a ride using Siri with various ride-booking apps. The beta version of iOS also brings enhancements to CarPlay, which replaces the touchscreen dashboard of any car with Apple's iOS interface. Apple uses beta rollouts for testing new features and squashing bugs found in previous versions. The features currently in beta should be made available as a general rollout to all Apple device users soon. Need to know features for this Smarty ? How to find IP Address of my mobile ?